MOSCOW (Sputnik) - The German authorities have not still provided Moscow with information about cyberattacks on its ministries that Berlin claimed had a Russian trace, Russian Ambassador to Germany Sergei Nechayev told Sputnik. "This topic is boiling in the local information space, however, megaphone diplomacy is clearly counterproductive here. 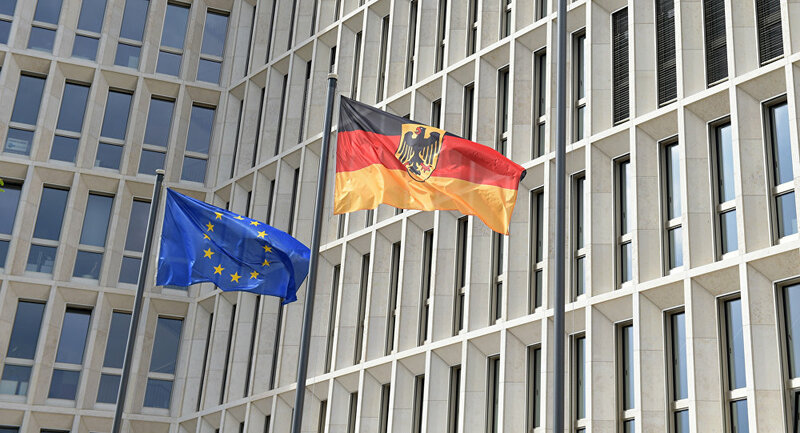 We have repeatedly asked Berlin after the ministerial talks to convey to us the evidence of Russia's involvement in the notorious cyberattacks against the German departments, any real facts, however, nothing has been received," Nechayev said. The diplomat noted that a dialogue on this issue could be organized within the framework of expert consultations on cybersecurity, something which Russia has once proposed. These consultations were planned for the spring, but Germany canceled them without explanation, according to the ambassador. READ MORE: German FM Scolds Trump for Backing Off on Denial of "Russian Meddling"
In April, Hans-Georg Maassen, the president of the German Federal Office for the Protection of the Constitution, which is responsible for domestic security, said that Russia was most likely behind the February cyber attack on the government network. In May, Russian Foreign Minister Sergey Lavrov said that Moscow had received no complaints from Berlin regarding the alleged cyberattacks. On February 28, the computer networks of the German Foreign and Defense Ministries were hit with cyber attacks. Initial reports suggested that the APT28 team, also known as Fancy Bears — which some believe is somehow linked to the Russian government — was behind the attack. Later, German intelligence services said that the attack was supposedly launched by the Turla hacking group, which allegedly has ties to the Russian Federal Security Service (FSB).